Trying to find firmware and some info on how to properly batch it onto this "non-existent" chinese clone. In the past few days I'm lurking all over the internet for info about "ZTE S7Q", I've managed to root it with tpsparky root and tried to flash some recoveries(cwm then twrp then generic cwm for 3.0.36+ kernel from crewrktablets), it seems that the recovery is flashed, but the screen is black. The menu is existent, even if not seen, when you press pw button right away - it reboots the device, if you play with the volume - it acts like there's a menu there and you can go back to the first option and reboot it(just like regular cwm), but all that happens when the screen is black. The weird part is that even before the root/recoveries flash, it went black screen on download mode/recovery mode. It came that way, but it seems that its not supposed to work that way. Then I tried to flash a full system that seemed fit, with the rockchip batch tool. It failed and I soft bricked it. Now I stumbled upon this forum which seems to have a good community and a lot of helpful info that could be very usefull at the start of my journey. 1) Will this tool work for me, if I try to dump the img from the untouched tablet and batch it onto the softbricked one? How do I properly batch it? 2) What roms would you offer for these tablets? Is there any roms at all, for these weird chinese creatures? I like customization and xposed stuff on my phones, but this tablet seems rather weak and mostly oriented for media/web, so I'd be glad if there's anything stripped from features and fast, with moderate customization(basic tiles/navbar/pie customization). Pls dump the firmware and upload it elsewhere. I will check. Hi, thank you for quick response. P.S. If I root it the way I did with the first one, and then dump the firmware with this utility, it should be fine, right? 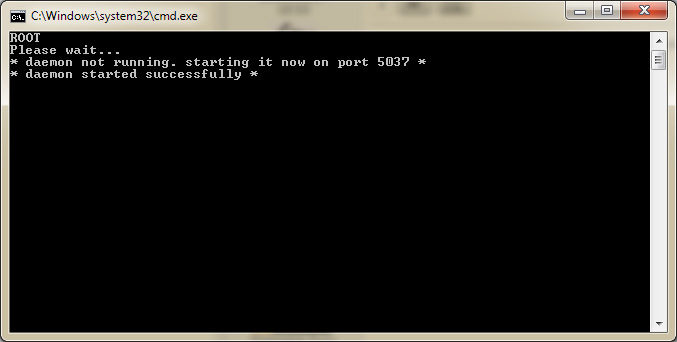 Try to root with Kingo-Root. Did that, but problem once more. Dumped everything except the system - the system goes up to 5.3GB(and then I'm out of space), so I tried to dump it to the external sd(7.3GB), but fat32 wont let me write more than 4GB(obviously). That way or another, how the hell a system that should be around 1GB max, is writing img file over 5GB?? I'm fascinated. What will be your advice in this situation? Let me see the mtd.txt. thanks again for spending your time here! Ok, unified storage. So system is on mtd7. Really need a dump or firmware for this tablet. Ok, dump looks good. Tab has RTL8188 wifi. Just change the kernel in folder rockdev/Images before flash. Thank you. Everything works ! I flashed it and so far it works like magic! Thank you very much Oma! Your NAND is 8 GB. On your NAND are different partitions. Partition userdata (internal storage) is now 4 GB. Partition user (internal sdcard) should be around 2.5 GB. The remaining space (up to 8 GB) is used by system partitions. Change the parameter file and your kernel before flash. In CWM install 160dpi fix.